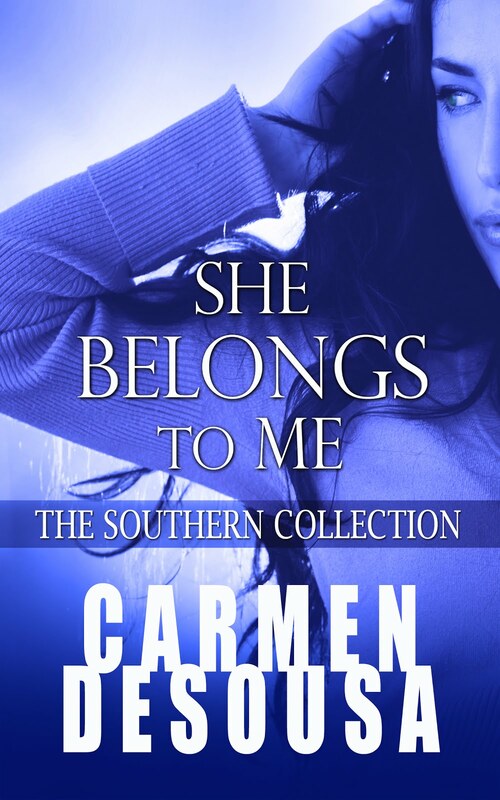 Carmen DeSousa: It's HERE! 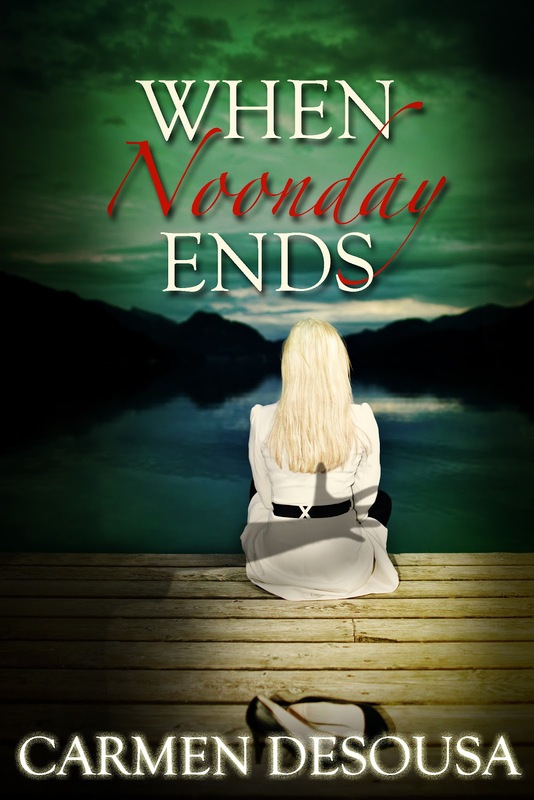 Cover reveal for WHEN NOONDAY ENDS! Book II of the Nantahala Series is Coming Soon! It's HERE! Cover reveal for WHEN NOONDAY ENDS! Book II of the Nantahala Series is Coming Soon! 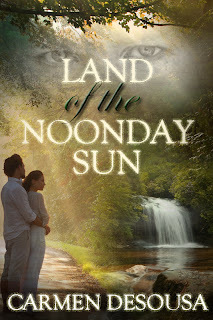 Though subtle this week, I am sharing an excerpt from my new romantic-suspense, When Noonday Ends, a spin-off of Land of the Noonday Sun. 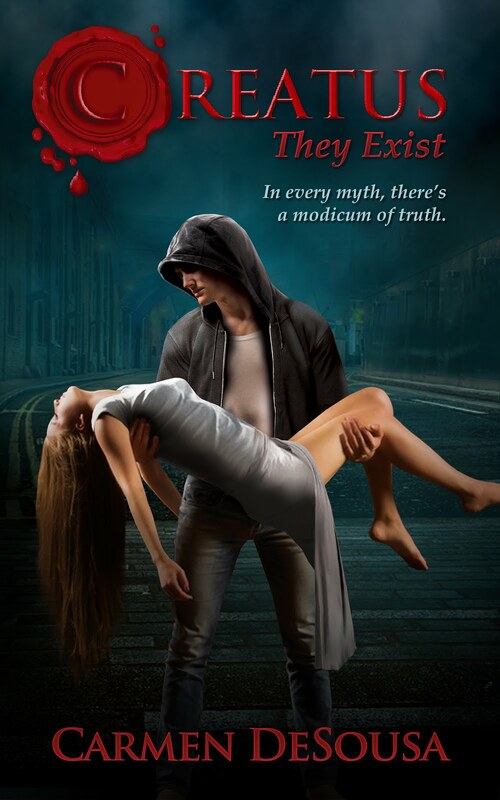 Okay...here's your excerpt, and next week...is the final installment and the big reveal. Sitting at the back of the courtroom, Tom Turner’s mind wandered. One person after another approached the judge, claiming their innocence. He hated doing this, but the law firm where he worked required all new attorneys to accept hardship cases. To get your feet wet, they’d said. Like his father before him, he’d chosen a career as an attorney. And for once in his life, his parents were actually proud of him. Still, most attorneys spent their days off golfing. He couldn’t stand golf, but he’d give anything to be kayaking right now. Often he thought of changing careers, as his best friend Chad had done. He had thrown away four years of medical school to manage an outdoor store he’d inherited from his parents. Tom had always thought that it had been a stupid decision, but now he wondered. His best friend was married to a beautiful woman, had a son, and could kayak every day if he wanted. What Tom really wanted was to take a few months off from life and hike the Appalachian Trail. After the year he’d had, he needed some time away from life—all life. But then, his parents would be disappointed, and he’d miss his niece, Samantha. His sister had been one of the wildest women he’d ever known. But since she’d had Sam, she’d finally settled down and was trying to be a good mother. Being a single mother wasn’t easy, and Michelle needed him. If only to give her at least one night a week to unwind. Well, that's it. Just a quick glimpse of our main character. If you've read Land of the Noonday Sun, you know who Tom is and why he's getting a shot as a main character. Over the next few weeks, I will be working my way through the prologue of When Noonday Ends, which will be available before Christmas. In the meantime, please check out Land of the Noonday Sun to read the full prologue at the end--and to see why readers requested a follow up story. Reminds me of something by either Edward Hopper or George Rodrigue. Well done, and a nice six, too! Thank you. And sadly, I am not familiar with either of those authors, so I will have to check them out. Love the contrasts here... a man's man who wants to spend a year hiking, who's also ready to spend time with his niece on a regular basis! Very nice characterization in this snippet! Sometimes if feels life is just one big choice between what one should do, and what one wants to do. Great six, Carmen. Nice cover. Tom sounds like a good brother. Thank you, Kate. He's trying. Nothing like a baby girl to make a man see his wicked ways. LOL!